Chile's Pablo Quintanilla (Husqvarna) was crowned the 2017 FIM Cross Country Rallies World Champion for the second successive season after a thrilling four-way final-round battle that saw Paulo Gonçalves (Honda) arrive at the OiLibya Rally of Morocco just five points behind the leader, with Sam Sunderland (KTM) a further point back and Kevin Benavides (Honda) just thirteen points adrift. Last year's runner-up Sunderland made the strongest start to the season, defeating Quintanilla by just six seconds at the Abu Dhabi Desert Challenge in an exciting opening round. Sunderland again showed his class on the sand with a second straight win in the Qatar Cross Country Rally but once the series arrived on South American soil it was the turn of Quintanilla and Benavides to shine, the Chilean taking victory on his home territory of Atacama and the Argentinean doing likewise with his first ever FIM Rally victory at the Desafio Ruta 40. Sunderland's chances were dealt a severe blow when he was ruled out in Argentina after crashing and banging his head and with Gonçalves a constant podium presence it was the experienced Portuguese rider who travelled to Morocco as Quintanilla's closest contender. However, an incident-packed and bruising few days saw several stages cancelled due to extreme weather and both Gonçalves and Sunderland were forced to withdraw through injury. There was more drama when Quintanilla was dealt a penalty and dropped from third to ninth ahead of the final stage, however as Benavides got lost at the front he hung on for sixth place and claimed the title in dramatic style. Meanwhile a first win of the season for Austria's 2015 champion Matthias Walkner (KTM) moved him up to third overall ahead of Gonçalves and the luckless Sunderland. Chile's Pablo Quintanilla (Husqvarna) became the 2016 FIM Cross Country Rallies World Champion after a battle with Great Britain’s Sam Sunderland (KTM) that went all the way to the final round in Morocco. 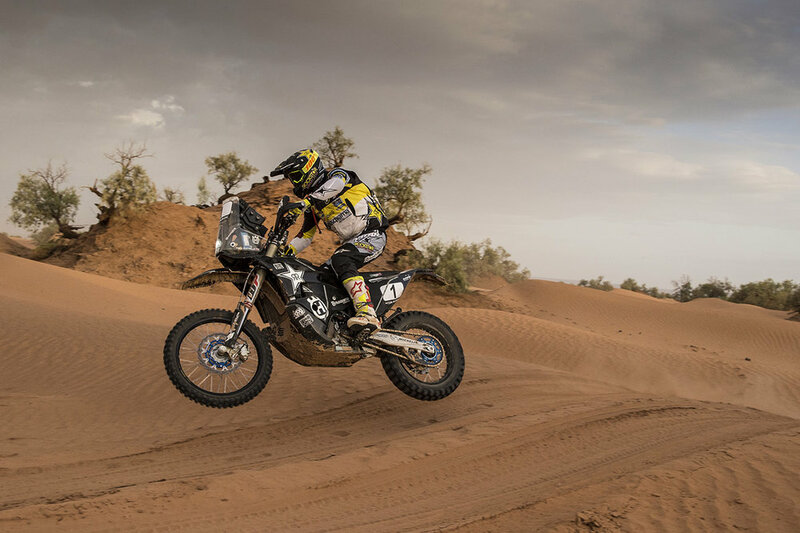 After victory in the opening round, the Abu Dhabi Desert Challenge, Toby Price (KTM) saw his title challenge derailed by a back injury, which ruled him out of the Sealine Rally in Qatar. In the Australian's absence his team-mate Sunderland took victory, stepping up as a championship contender to Quintanilla. 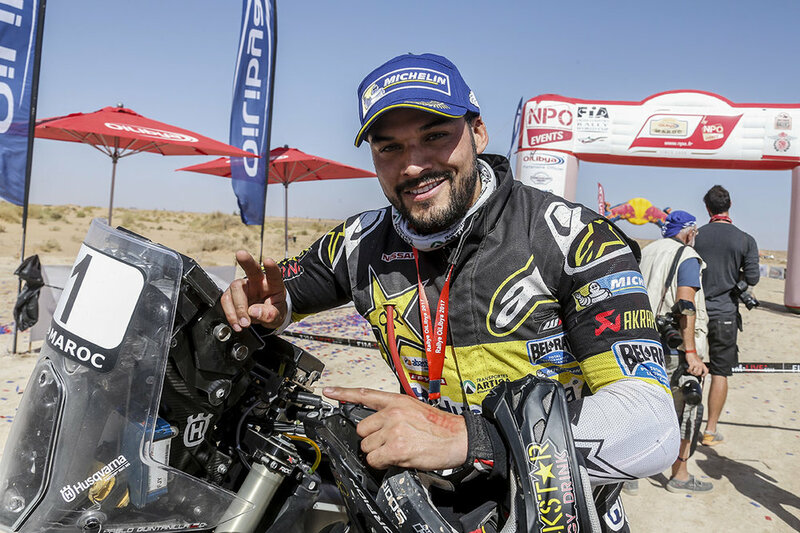 The Chilean set his stall out on home territory, taking victory in the penultimate round of the season and leaving Sunderland down in fifth place after a tough week on the winding tracks of the Atacama Desert. Tensions were running high at the final round, the Rallye OiLlibya in Morocco, where Quintanilla's eleven-point lead looked shaky as he made several attempts to adjust his suspension. Meanwhile, Sunderland took control of the rally but crucially set off on the wrong trail coming out of an oued (partially dry river bed) and lost eight minutes before finding his way, conceding the win to the fit-again Price and the title to a jubilant Quintanilla in third.